The advances in medical science and technology require doctors to maintain a constantly developing vocabulary. The International Classification of Diseases (ICD) has been through several permutations and has recently undergone another revision. After October, 2015, radiologists and everyone else involved in critical tasks of the practice will have to begin using ICD-10. This new formulation for reporting will contain 68,000 clinical management codes; and provide greater specificity than the 16,000 diagnostic codes contained in ICD-9. If you want to be ready for the change, consider these following guidelines for your particular process. ICD-10 is not just a new and longer list of codes. This new guide to medical communication does not simply require physicians and their teams to incorporate new terms into their vocabulary. It also requires participants in this work to meet significant challenges. 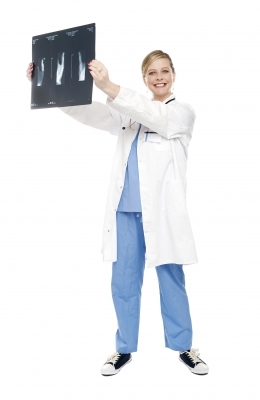 There are three important things that radiologists must do to meet the challenges of ICD-10. There is a lot of work to do. Even academic medical centers have discovered hundreds of applications in which they will have to make substantial changes to texts. For large hospital networks, the task is more monumental. Without proper coding, both income and treatment quality will be affected significantly. Therefore, everyone from physicians to large health systems must adapt all their associated software applications to the new classification in order to prosper in the new coding landscape. You can evaluate your progress by taking a look at the suggested implementation timeline. There are some helpful checklists and guides to implementation for practices of varying sizes here. The challenge is not simply getting computers to grasp new terms. That might be trying but it would not be anything unusual. However, physicians themselves are human and they are the ones who will be submitting the diagnoses which are at the heart of any medical system. Instead of forcing physicians to comprehend tons of new data when their hands are full of patients, clinical documentation specialists can help to bridge the gaps between diagnoses and codes. These professionals are often registered nurses with clinical experience who specialize in understanding the codes and terminology involved. Especially in larger practices, the administrator should oversee this transition. It is not just a job for the computer techs. Poor medical coding will lead to poor income outlooks for everyone in the company. Ultimately, transition to ICD-10 is a matter of survival for most people involved in the medical industry. To save time in the long run, take a close look at the top 10 or 20 codes in ICD-9 that you use now. Familiarize yourself and your clinical documentation specialist with their corresponding translations into ICD-10 coding. ICD-10 should not become a frightful specter for physicians and others in the health providers’ realm. While the task is challenging, the results of updating will mean better care and more satisfying work for everyone.